While most will remember the last Tsar Nicholas II of Russia and his wife Alexandra Feodorovna, not all will remember Nicholas’s mother who managed to escape the revolution. Maria Feodorovna was born Dagmar of Denmark on 26 November 1847 as the daughter of King Christian IX of Denmark and Louise of Hesse-Kassel. Her sister was Queen Alexandra of the United Kingdom, the wife of King Edward VII. She was destined to marry Tsarevich Nicholas Alexandrovich but he tragically died before they could be married. His dying was that Dagmar marry his brother, the future Alexander III. She did marry him and they went on to have six children together, though one son would die young. Their eldest son would become the last Tsar of Russia, Nicholas II. On 13 March 1881, Dagmar’s husband succeeded his father after Tsar Alexander II was killed by a bomb. Dagmar was a popular Empress and a successful hostess. She was widowed in 1894 when her husband died at the age of 49 of illness. Shortly after her eldest son married Alix of Hesse, who was renamed Alexandra Feodorovna. When the Russian Revolution came upon them, Dagmar managed to escape to England, despite being reluctant to go. She mostly lived in Denmark and refused to believe that her son and his family had been killed. She died on 13 October 1928. The Romanov Empress by C.W. 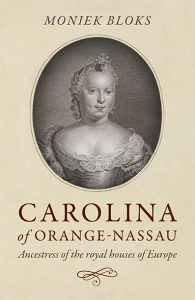 Gortner charts Dagmar’s life from her early years, through the tragic ending of her engagement with Nicholas and her happy marriage to his brother Alexander. My expectations with historical novels are usually rather low and I saw pleasantly surprised to find that this book appeared to be mostly historically correct, which certainly helped me to enjoy it more. C.W. Gortner has written plenty more historical novels and I am sure that I will be expanding my library. 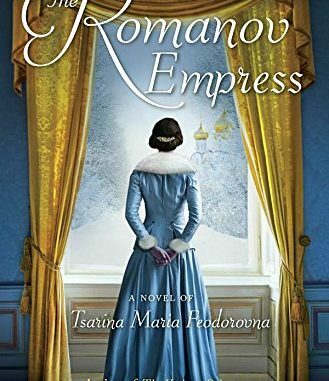 The Romanov Empress: A Novel of Tsarina Maria Feodorovna by C. W. Gortner is available now in both the UK and the US.